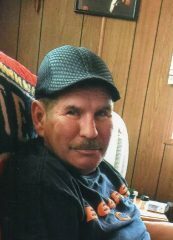 Robert “Bobby” Lyons, 60, of Leesburg, IN passed away on January 18, 2019 at his home. He was born on February 22, 1958 in Harvey, IL to Edward & Mary (Schramek) Lyons. He was a United States Marine Corps veteran, member of the North Webster American Legion Post 253. He moved to the area 20 years ago coming from Illinois. He was a vested union carpenter in Chicago. He was employed the last 12 years at Gulf Stream in Etna Green as Head of receiving. He was an avid fan of the Chicago Bears, Cubs, and Blackhawks. He is survived by his long time signifigant other – Brenda Williams of Leesburg. 1 brother – Ed Lyons of Syracuse. 3 sisters – Shirley Lyons of Warsaw, Cynthia Braatz of North Webster, and Mary Mallory of North Webster. 1 son and 1 grandchild, as well as several nieces and nephews. He was preceded by his parents and a brother George Lyons. A memorial service to honor Bobby’s life will be held on Saturday, February 9, 2019 at 2:30 PM at the North Webster American Legion.